These undulating beaches of Bengal offer complete rejuvenation to the soul. West Bengal spans over a healthy amount of the eastern coastline of India. The beauty of the clear waters of Bay of Bengal; estuaries of the mighty Ganga and the lazy coastal fronts make it a paradise for nature lovers. There are a number of unspoilt and unexplored beaches here, with nothing but the undulating beauty of the sea for company. These are the ones you must visit. Stretching along the eastern coastline of India, the 2km long Frazerganj Beach offers an unspoilt panorama to the traveller. The white sand and crystal clear water are a great escape from the maddening life of the cities nearby. The sunrise and sunsets on this beach are especially poetic; you can spend hours here with the birds chirping in the background. Deriving its name from a ship that was wrecked here in the 17th century, Falta Beach is arguably the most famous beach of the state. You can see river Damodar merging with the Hooghly river here. A ship in port is safe, but that’s not where it is built for. Junput Beach is known for its gorgeous, natural beauty. The casuarina trees running parallel to the coastline lend it a certain charm; and the beautiful combination of lush greenery and clear blue waters is a delight to the senses. The beach attracts a fair number of people regularly; is a favourite spot for having picnics. 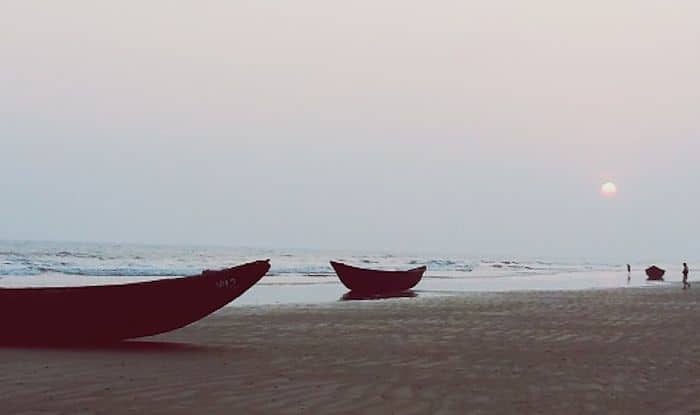 Located on Sunderbans Island, Sagardwip Beach, also known as Gangasagar Beach, is a silvery expanse of calm and pristine water. The beach overlooks an estuary of river Ganga that has religious values; the reason why a lot of pilgrims flock here in the month of January to take a holy dip in the mighty Ganga. The reason why Talsari Beach is a must visit is because it can only be accessed through a boat ride. The beach is basically a part of the delta that is lined up with the conifers on all sides. It’s a 3km long, tranquil beach greeted with low tides, and not too many people visiting it.